Most of us have room for the 28 teeth, the amount you should have prior to your wisdom teeth eruption. 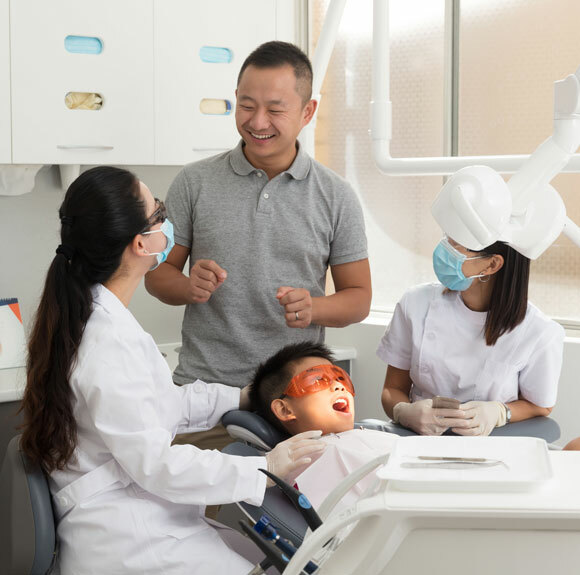 When your jaw is not wide enough, the wisdom teeth can become impacted, and therefore hinder the tooth’s ability to fully erupt or becoming misaligned. When this occurs, your wisdom teeth will be required to be extracted to ensure your teeth have adequate room to sit comfortably. During the eruption process of wisdom teeth, your gums are vulnerable to infection as the partially erupted wisdom tooth will leave an opening. When food and bacteria are trapped in these areas, it can lead to a painful infection (pericoronitis). In this scenario, it is best to remove the wisdom tooth to prevent further infection. When your wisdom teeth surface completely, but sideways, they can cause your adjacent teeth to shift and move over time. This poor alignment of your wisdom teeth can ultimately damage the nearby teeth, causing pain and increased sensitivity to the surrounding tissues and teeth. 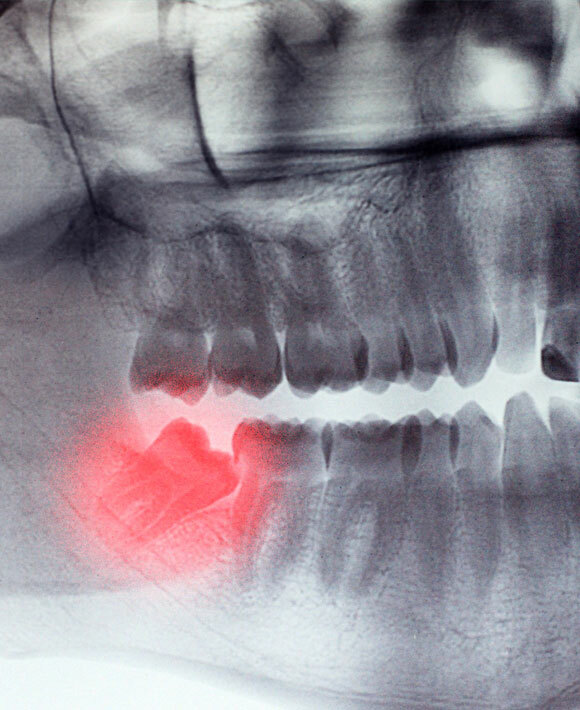 Significant amounts of swelling and pain will come along with the impacted wisdom tooth if the situation goes on untreated. Hence it is important to seek medical attention if swelling and/or sensitivity to gums in your back jaw arise. This occurs when the sac next to the tooth becomes filled with fluid destroying the surrounding “healthy” bone and root structures. Removing wisdom teeth is a routine procedure that will ensure the long-term health of your mouth and teeth. It is often the best and safest option to avoid painful complications and further problems that may establish if not treated. If you have any concerns or suspect you have an underlying wisdom tooth problem, do not hesitate to consult our dentists. An incision is made in your gums to expose the infected teeth and the jawbone. The infected tooth is cut into smaller parts to make it easier to remove through the opening. Your tooth socket is widened to extract the parts of the teeth. The socket where the wisdom teeth were removed from will be cleaned to remove any debris from the tooth or bone. The incision will then be stitched up to promote healing and covered by a gauze to control bleeding. Follow our dentist’s instructions on post-surgical practices to treat wisdom teeth extraction and promote a fast recovery.